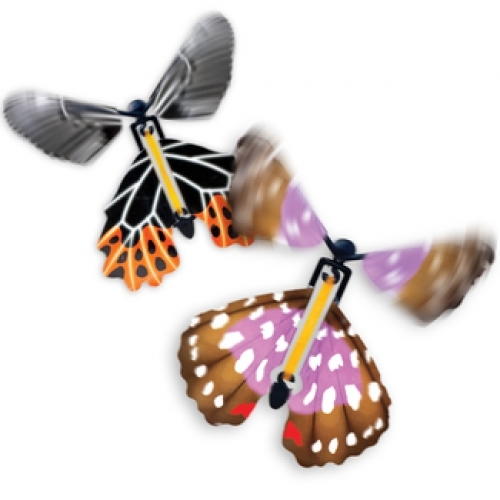 A colourful paper butterfly that leaps from clasped hands to fly through the air with the characteristic random, fluttering path of a real butterfly. The trick is set by turning the butterfly's wings in opposing directions multiple times, twisting the elastic band running along its thorax until tight. The butterfly remains pressed flat between the hands until released, at which time its bursts into life, flapping and fluttering through the air.